A Facilities Services crew works on replacing outdated sewage pipes along Thompson Drive and Tanana Loop this past Saturday night. Photo by Jeremia Schrock. If you spend any time on or around the UAF campus, then you’re bound to have seen the large white plastic placards with the words: “Utilities Waste Line Repairs Project.” If you are an astute reader, then you will have guessed that the construction projects around campus (with that billing) more then likely concern the lines that move waste off campus and to the Golden Heart Utilities waste management site. If so, then you are correct. What is currently underway is a vast project to replace, according to the Facilities Services website, the “aged [and] unreliable sanitary and storm water infrastructure” across the UAF campus. A survey begun in 2007 assessed the numerous pipes that channel sewer and waste off campus. That survey discovered that the majority of those lines were wooden pipes ranging from 40-50 years old. Many of these pipes were found to have either rotted away, been broken into by neighboring root systems, or cluttered with debris of all shapes and sizes (including bits of metal). Yes, you read correctly: the majority of the pipes that channel university waste off campus were, and are, made of wood. This discovery shocked many including Cameron Wohlford, a Senior Project Manager with Design and Construction, a sub-unit of Facilities Services (FS). What Wohlford, who has worked with FS for 13 years, is attempting to do, is make critical repairs to the outdated piping. His job is to install a new line along Thompson Drive and Tanana Loop. What will also occur this fall is a replacment of piping along Alumni Drive up to the Student Recreation Center (SRC). 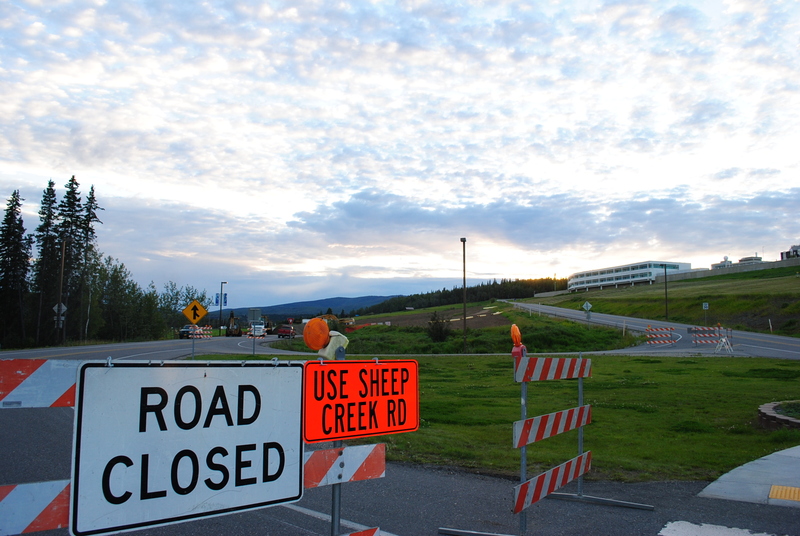 This construction means that part of the West Tanana Loop and SRC parking lot will be temporarily closed. While the projetcs critical repairs began in 2008, one of the bigger replacements came in October of last year when it was reported that the basement of the Wickersham dorm was filling up with sewage. When FS investigated they sent a camera into the piping to discover the cause of the backflow. What FS and Wohlford discovered instead was that there was nothing there. There was nothing in the pipe because there was no longer any pipe left. What Wohlford found was simply an “old hole in the ground with no pipe,” it having long since rotted away. 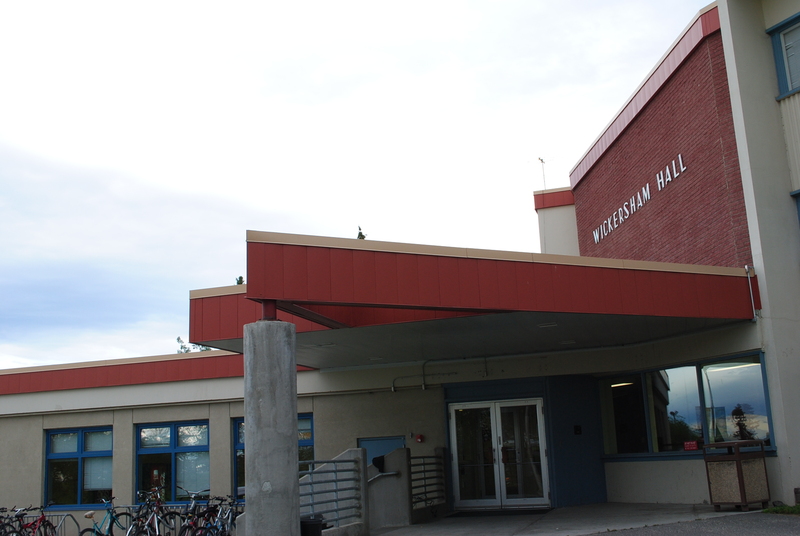 An untidy influx of sewage into the Wickersham building's basement last October was partially responsible for spurring Facilities Services into action. Photo by Jeremia Schrock. What FS (and Wohlford) are trying to do currently is to simply try and keep up with repairs. While a more through survey is needed to determine the extent of the damage, the repairs are part of a larger plan to replace the majority of the piping around campus. That plan, Wohlford estimates, will take 10-15 years to complete. Somehow it doesn’t surprise me to hear that a good chunk of the waste pipes on campus were made of wood. What does surprise me a little is it took 40-50 years for anyone to bother surveying them.